Even though it’s not BrokeAss, we sure do love shrimp. Fortunately, this recipe is a fantastic way to really maximize that delicious shrimp flavor without spending a fortune on it. Kosher-keepers can replace the shrimp with a firm white fish like tilapia and vegetarians can use tofu instead of the shrimp or just increase the veggies. Preheat the oven to 375 degrees F and grease a square 8"x 8" pan. Set aside. Heat 1 tbsp of the olive oil in a medium skillet and add the onions. Cook for 2-3 minutes or until translucent. Add the shrimp, corn, peas, salt and pepper and cook very briefly--just until the shrimp turn pink and firm. Remove from heat and transfer to a medium bowl. Allow to cool. While the shrimp mixture cools, heat the remaining tbsp of olive oil over medium-high in a medium saucepan. Add the cilantro, jalapenos, garlic, and scallions. Cook for 3-4 minutes, stirring occasionally. Add the half-and-half and reduce heat to a simmer. Cook uncovered for 2-3 minutes, stirring occasionally--the half-and-half will thicken. Once the jalapenos begin to soften, either remove from heat and puree in a blender/food processor or use an immersion blender to puree until smooth. To assemble the enchiladas, stir half of the cheese into the cooled shrimp mixture, reserving the other half. Fill each tortilla with 1/4 cup filling and a drizzle of the sauce. Roll and place seam-side down in the greased pan. Repeat until all of the tortillas and filling have been used up. Pour the remaining sauce over the enchiladas and top with the remaining cheese. Bake covered with aluminum foil for 30 minutes. Carefully remove foil and cook uncovered for a remaining 10 minutes until cheese is lightly browned and bubbly. Garnish with reserved scallions. *writing note to self*Add this recipe to this weekend’s menu. Oh, yummy! Wow its the perfect recipe for my diet! Would love to try it for dinner! Thanks for sharing it. Check out some online games on this link http://casinohex.co.za/online-roulette/ you might love it. Please help me to know about windows shortcut keys. I am facing a big problem to while using mouse and touch pad. 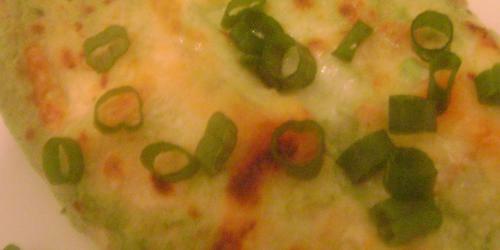 Shrimp and corn enchiladas with the scallion jalapeno-sauce is good for us. Its tasty as well as healthy. As a writer in the field of writing, i would like to adjust this idea of blogging. I will try to explain this blog. Giro d’Italia Variant, Stage 1 is here. More often than not individuals can attempting to discover more pages. Each one of those pages are presently known as pages. We realize that as indicated by these pages we can do many work .And that work is for the most part useful for the peruse.